Writing at The Federalist, Willis L. Krumholz asserts that the Guttmacher Institute has fudged its data in order to protect the abortion business. Krumholz says that Guttmacher also shaded its data in favor of Planned Parenthood in March in its new report on unintended pregnancies in the United States. 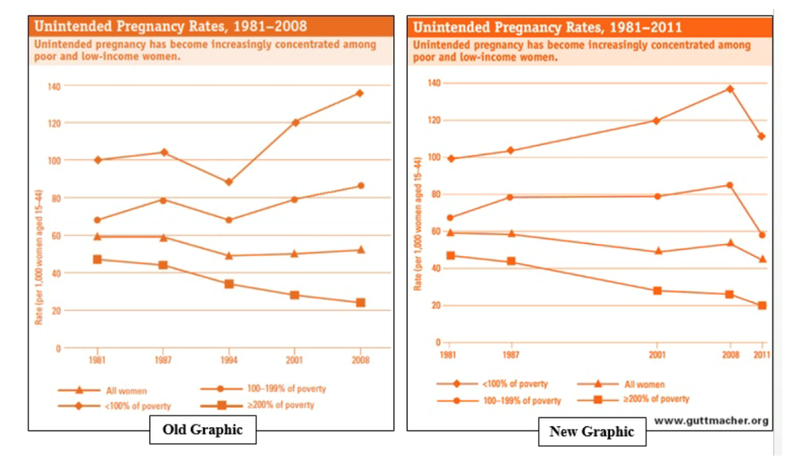 A data plot graph appeared showing unintended pregnancy rates from 1981-2011, but did not include the data plot for 1994. 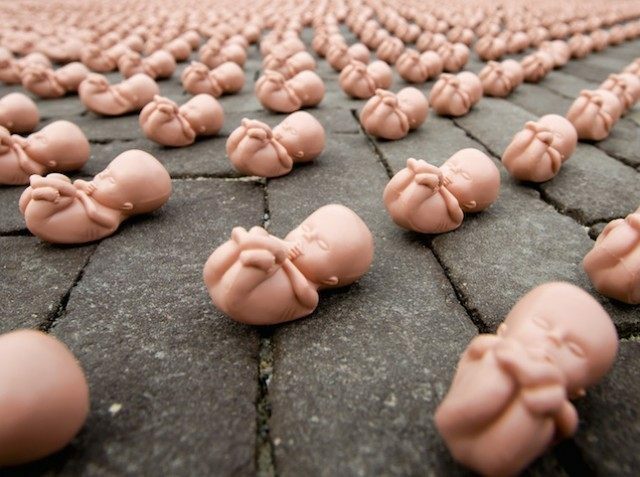 Krumholz further explains that, following a national Planned Parenthood strategic “reinvention process,” the abortion business experienced a marked increase in its market share, measured by abortions, and sharp rise in revenue – from $400 million in 1990 to $1.3 billion today. Why did they shoot up? If IUDs are so great, why was the unintended pregnancy rate lower in the early ’90s, before IUDs were as widely used? If Planned Parenthood is so great, why was the unintended pregnancy rate lower in the early ’90s, before Planned Parenthood tripled its market share? The premise of this @micaiah157 @LifeNewsHQ article is false https://t.co/WHMBcrFBO0. See my timeline for details. Pls correct or retract. In other words, the 1994 unintended pregnancy data in our chart were artificially low, according to NSFG. That’s why we omitted this data point in our most recent analysis. All of this is, of course, explained in our New England Journal of Medicine study where we published these data. Our researchers followed best research practices and were fully transparent about it. Unfortunately, Mr. Krumholz never read the study where our data were published. @JoergDreweke @Guttmacher @FDRLST I stand by the article. https://t.co/6MxbuaAo8y …Response forthcoming. According to the Centers for Disease Control and Prevention (CDC), 40 percent of pregnancies among black women end in abortion. And in New York City – home of the headquarters of Planned Parenthood – more black babies are aborted than are born.